Much of the complex history was dark, now it is a stylish place full of Nordic cuisine. 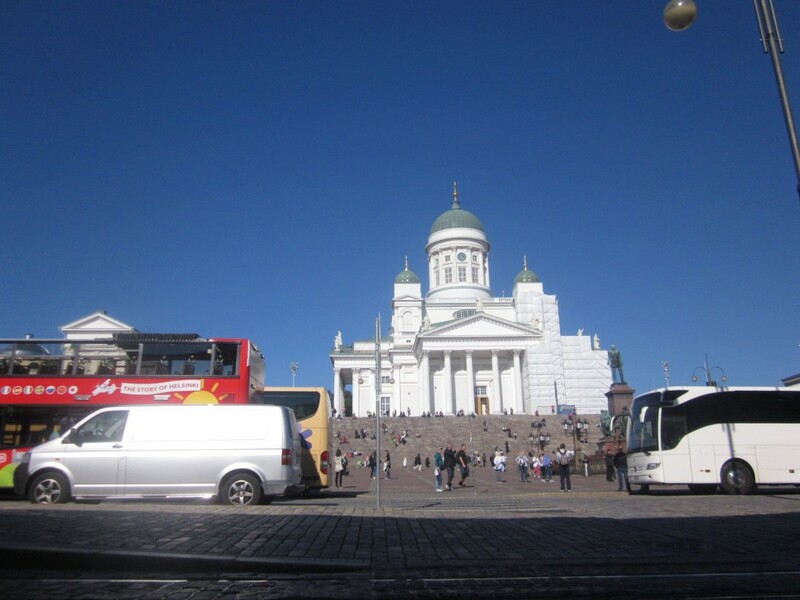 I enjoyed my stay in Helsinki. The sun is shining. 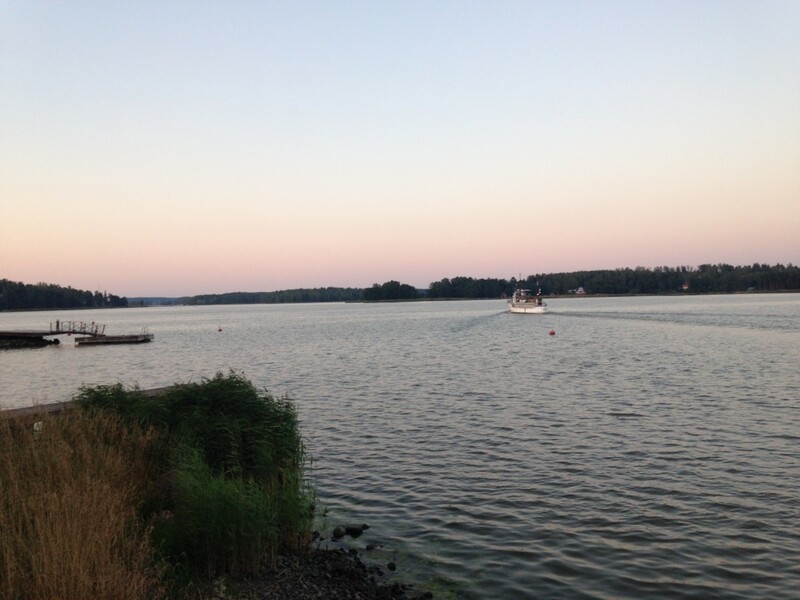 The capital of Finland is a vibrant seaside city of beautiful islands, great cosy parks, churches and lovely views. and quality of restaurants. For me alwys a pleasure to be here. I used the brand new train to connect Airport and City. We got a great introduction about the planning and struggle to bring the Guggenheim Museum to Helsinki. The finish agency “MillTON” is in charge for this. The pr and marketing company tries to “create the best communications in the world for Finnish companies and for international brands”. Stay tuned, it is still not sure if the “Guggenheim mission” will be succesful. 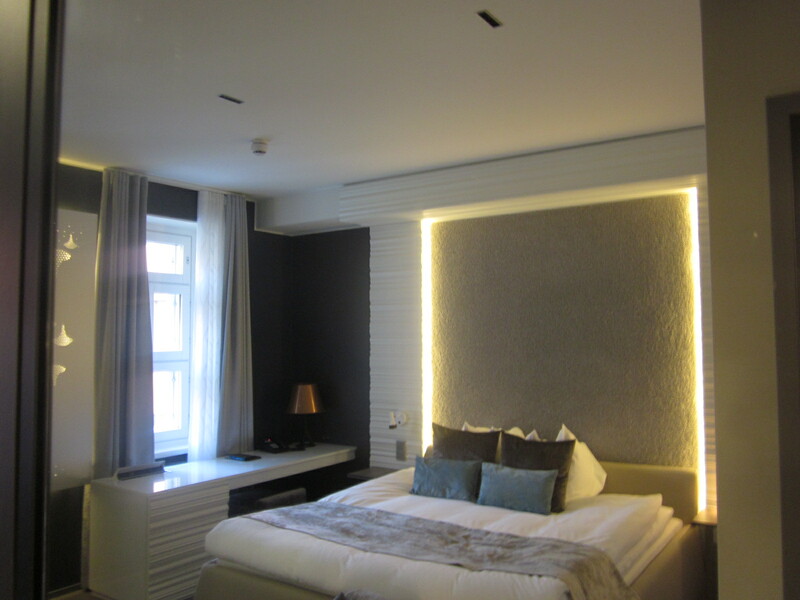 We checked in at the beautiful design hotel “Klaus K”. 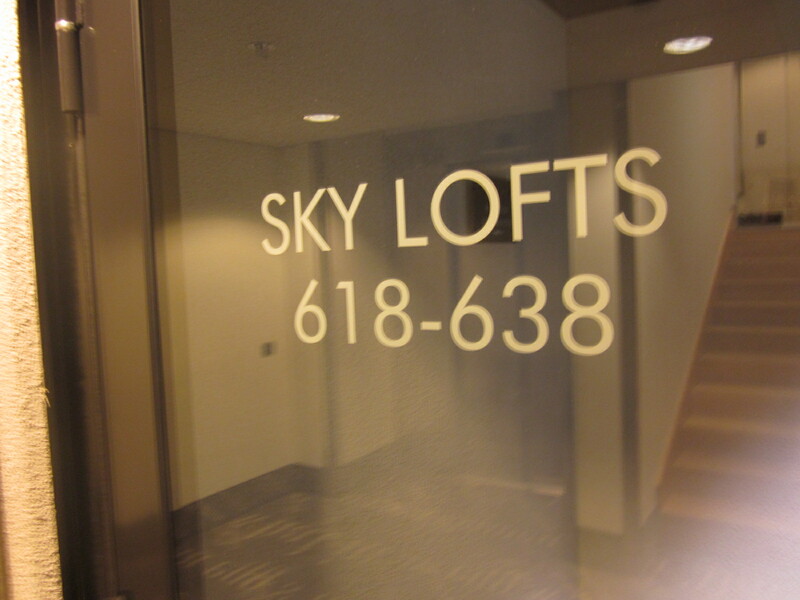 The first “Design Hotel” in Finland offered me one of the sky lofts on the six floor. A quite famous location. 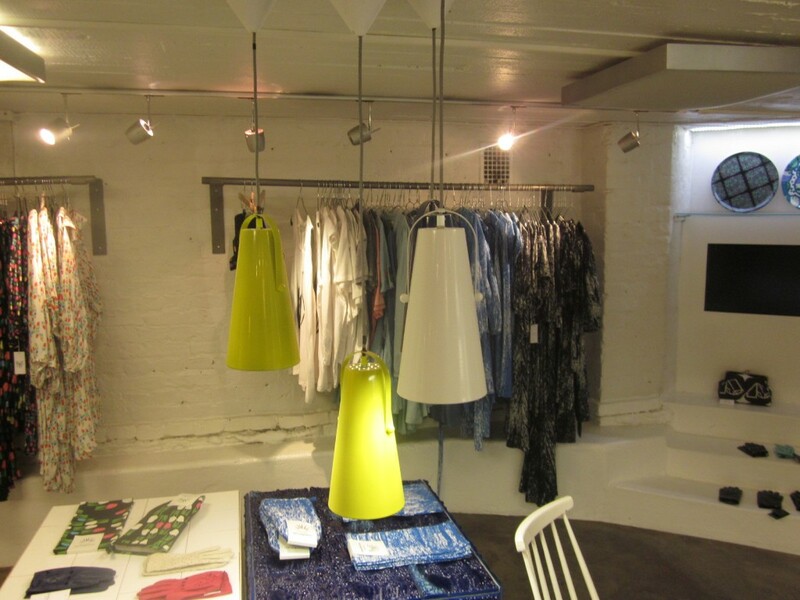 The “Rake corner” is a perfect place to explore a lot of design brands and showrooms. I enjoyed it very much, the “Ivana Helsinki” showroom is one of my favourites. 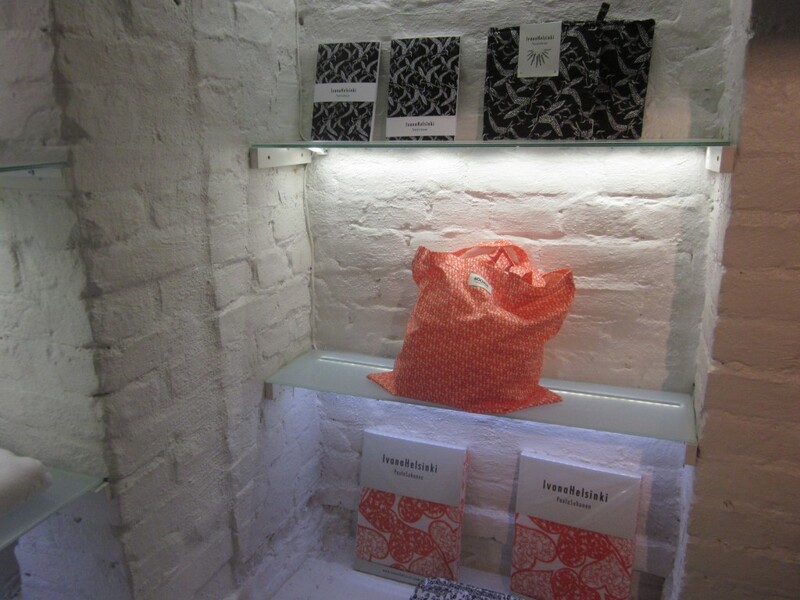 The next one was “Marimekko. Entering the lobby @ Klaus K Hotel revelas its special ambience and Kalevela design. city center. 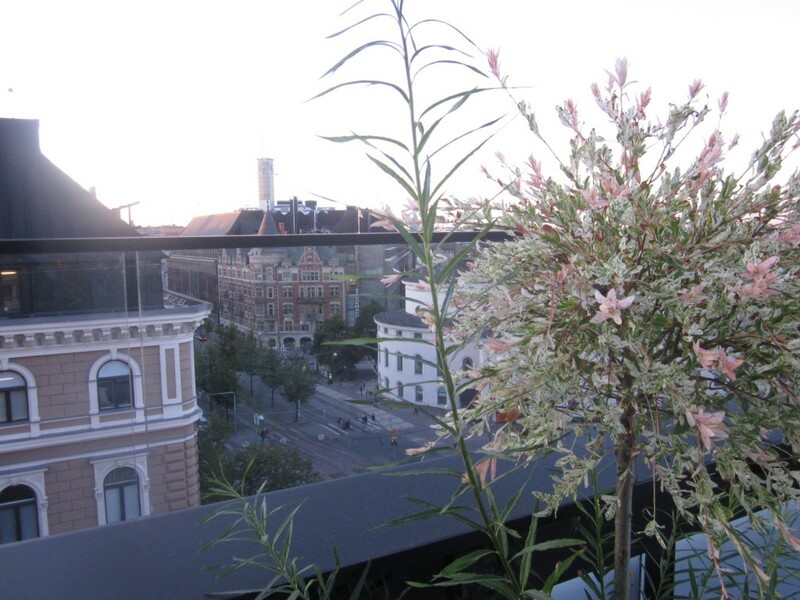 The hotel’s premises are already more than hundred years of age and are a combination of two architecturally important buildings; the one on the Erottaja side is architect’s Frans Sjöström’s signature work, built in 1882. The building on the “Bulevardi” was built in 1912 and designed by Lars Sonck, one of the most important architects of the national-romantic movement. Guest house activities already started to take place in the building in 1924 and the first actual hotel was opened in 1938. The hotel’s name is based folklore: The by Elias Lönnrot compiled Kanteletar, a collection of Finnish folk poetry published in 1840, includes the ballad “The Death of Elina”. It is a story of passion, betrayal, lies and envy, its main character being the ferocious Klaus Kurki. The name, Klaus Kurki, was carved into the granite of the entrance doorposts in 1938. In 2015 Klaus K is celebrating its 10th anniversary. 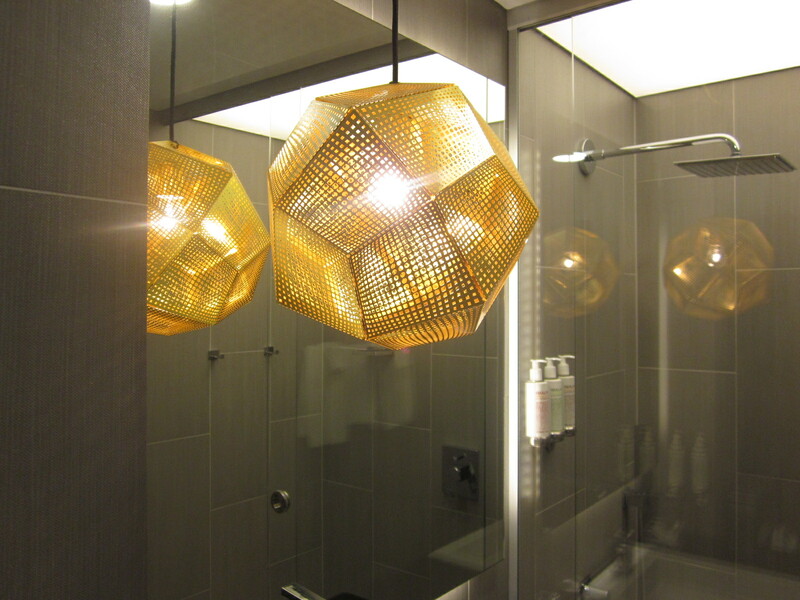 Entirely redesigned, Finland’s first design hotel opened its doors for the first time in 2005. Klaus K honors its tradition and background without getting trapped by its history. The hotel is fresh and different, stylish and experimental, modern and yet legendary. The heart and soul of the hotel was found in the Kalevala – Finland’s dramatic national epic which continues to fascinate travelers from around the world. The beauty of Kalevala, the mission lays in the details. Almost all of the furniture, carpets and objects have been tailored specifically for Klaus K. And the myths of the Kalevala can be found in surprising details.The corridor’s carpets between the guest rooms tell the main creation story from the Kalevala. They explain how the world and the universe were created from seven eggs. 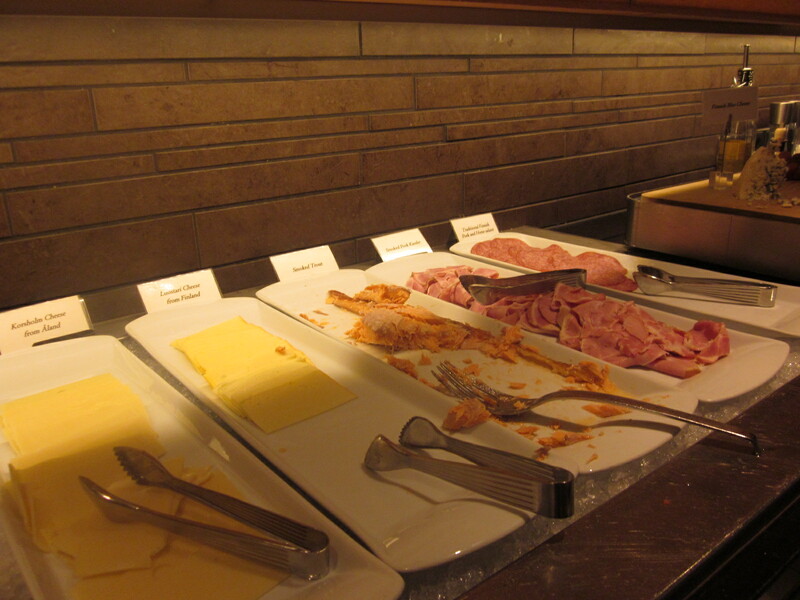 In many places throughout the hotel, guests will notice the egg shape. The white wood-made reception desk of Klaus K is shaped like an egg and depicts a bird’s next as well with its fantastic, massive ceiling light fixture. In the LIVINGROOM, there is a large wall artwork depicting the Genesis according to Kalevala. Have you seen the large pike mosaic? The pike is the Kalevala’s symbol for music as Väinämöinen, the main strong man, makes the first-ever kantele instrument out of a pike’s jawbone. The hotel’s guests are guided on each floor to their rooms by animals depicted in Kalevala’s adventures: song bird, magpie, swan, eagle, horse, moose, wolf and bee. Also Toscanini has a connection to the Kalevala. Artist Gallen-Kallela joined a Finnish artistic colony in Florence in the spring of 1898. There they hung out in bars and cafés, discussing fresco techniques and picking up the new movement in the art world – symbolism. The mood of symbolism affected Gallen-Kallela, who painted Kalevala-themed ceiling frescoes for the central dome of the Finnish pavilion at the 1900 World’s Fair in Paris and in 1928 a similar one on the ceiling of the Finnish National Museum, which can still be viewed today. 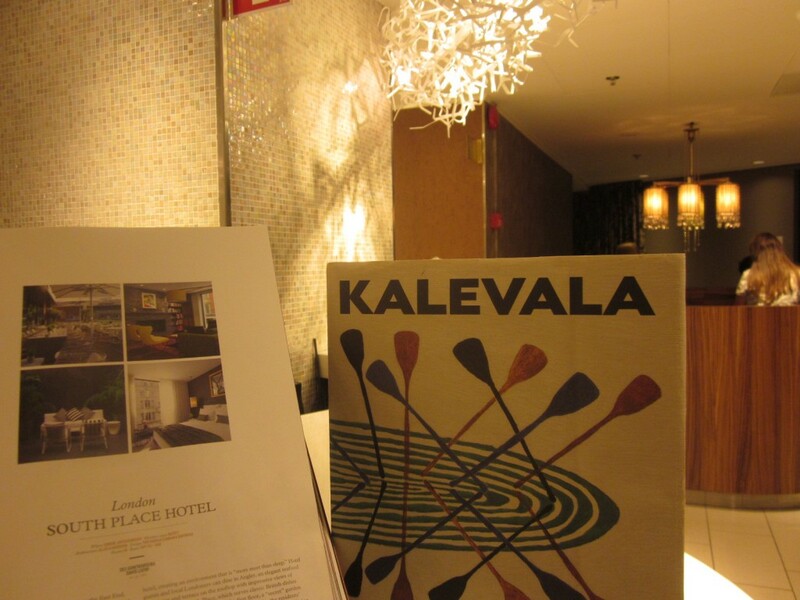 The hotel’s four original room categories are named after strong Kalevala emotions: Passion, Mystical, Desire and Envy. Every room has a piece of art displaying a quote from the Kalevala describing the specific mood. Each Klaus K font-of-house team member wears a large, stylized brass star pin, custom-created for the hotel by the Helsinki-based jeweler OZ. The star can be also seen on many Klaus K print pieces. It was, in essence, “designed by” Akseli Gallen-Kallella, as it appears in several of his Kalevala paintings. Furthermore Klaus K hosts design and arts-related events: Fashion shows, themed events, vernissages, art exhibits, unveilings, brand launches, corporate fundraisers. The hotel’s story continues, grows and develops. Come with us! 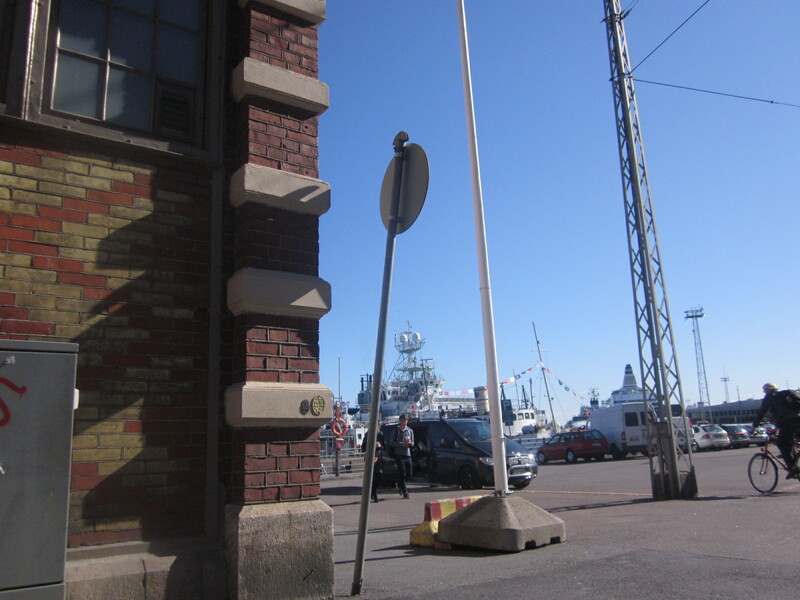 The corner of Erottaja and Bulevardi consists of two separate buildings. The older building facing Erottaja was built in 1882 as a German school for girls, in addition to the school for girls, the building hosted Finland’s first coeducational school. 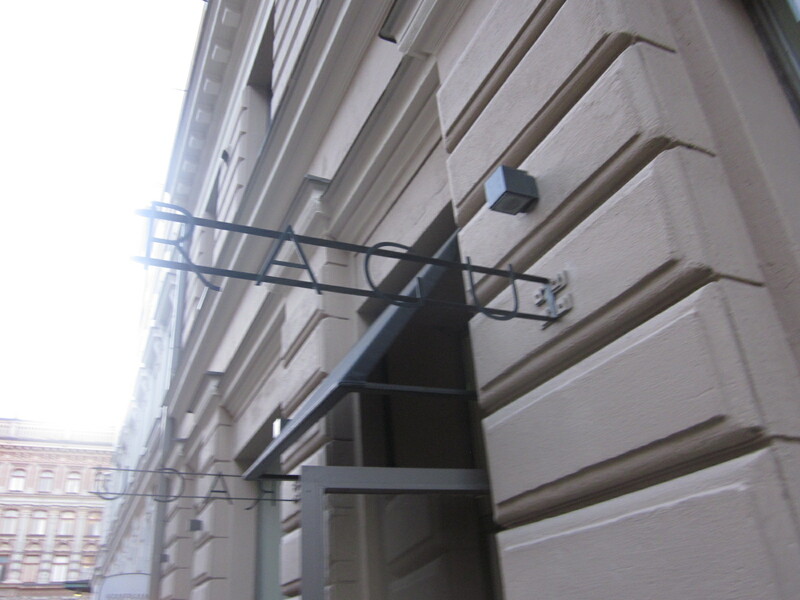 The Rake corner is also connected to the early days of Finnish music education, as the Helsinki Music Institute. Today, the Helsinki Music Institute is known as the Sibelius Academy. After the school was closed down, a printing house took over in 1897, partly in the former school building and partly in a wooden building located in the corner of Bulevardi. As the operations of the printing house expanded, architect Lars Sonck was commissioned to design a new factory building, which was completed on the Bulevardi side of the Rake corner in 1912. 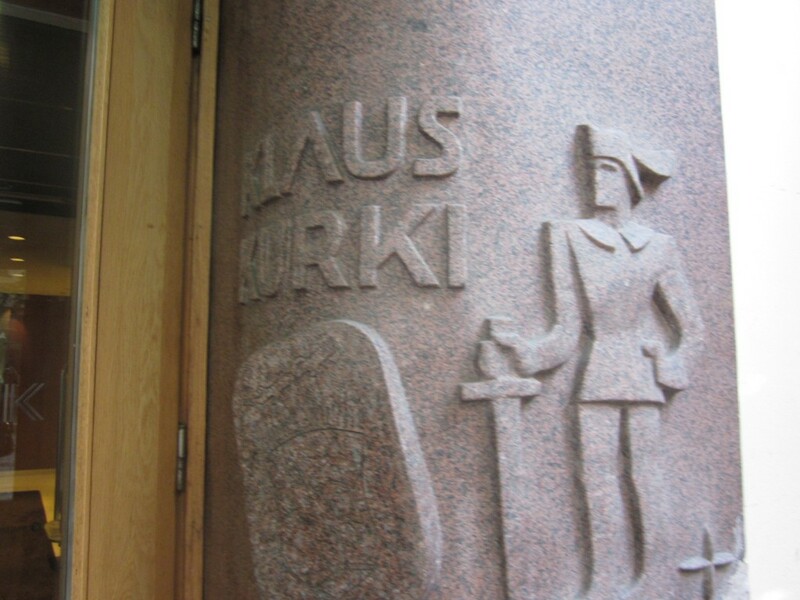 In 1938, the Board of Rake decided to combine the premises of the restaurant and the boarding house, and named them Klaus Kurki. The expanded hotel became a significant accommodation business in Helsinki, featuring proper premises such as an elegant dining hall and renovated rooms. 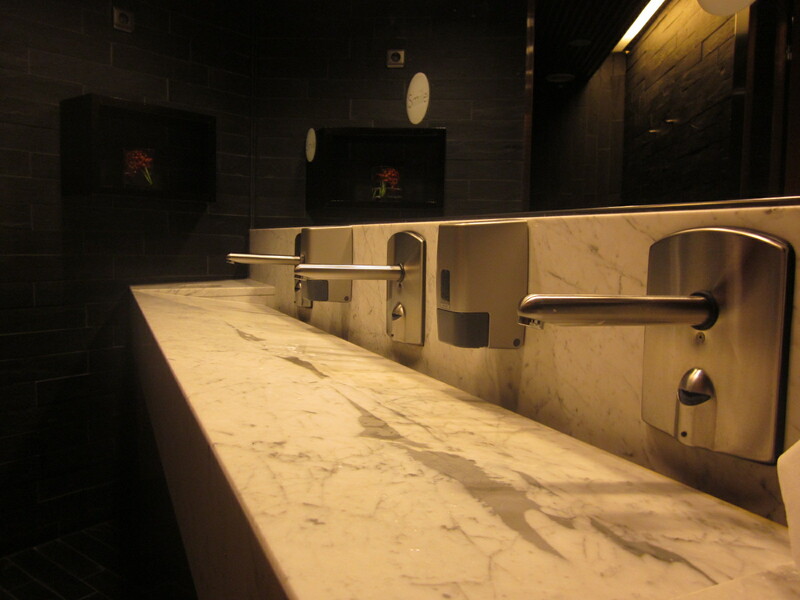 After the renovation, the hotel included 63 rooms, all equipped with a toilet and most with a bathroom. In the 1970s, the hotel was a family-run business, until it was sold to a hotel chain at the end of the decade. Three decades later, in 2005, the same family, represented by Mia and Marc, return to manage the hotel. Inspired by Finland’s national epic, The Kalevala, the interiors of Klaus K express the emotional themes of mysticism, passion, desire and envy. Four different guest room motifs feature cutting edge design and comfort customized for today’s traveler. Thoroughly individual and decidedly contemporary, design hotel Klaus K is a hotel with a soul and a story, waiting for you discover it and all of its riches. Finnish folklore is woven into every detail of the design aesthetic embracing the hotel and the owners’ mantra of “style and story” with a soul is evident everywhere. Climbing a flight of stairs to reception, a sense of Nordic modernism transpires as you approach a galactic oval eggshell front desk, with a hanging installation of cream colored thorn thickets circling above it. The egg and nest reference alludes to the Kalevala’s genesis story, where the world and the universe were created from seven eggs. The hotel plays with the genesis spirit with actual text printed on lobby walls and woven into the hallway carpet on every floor. 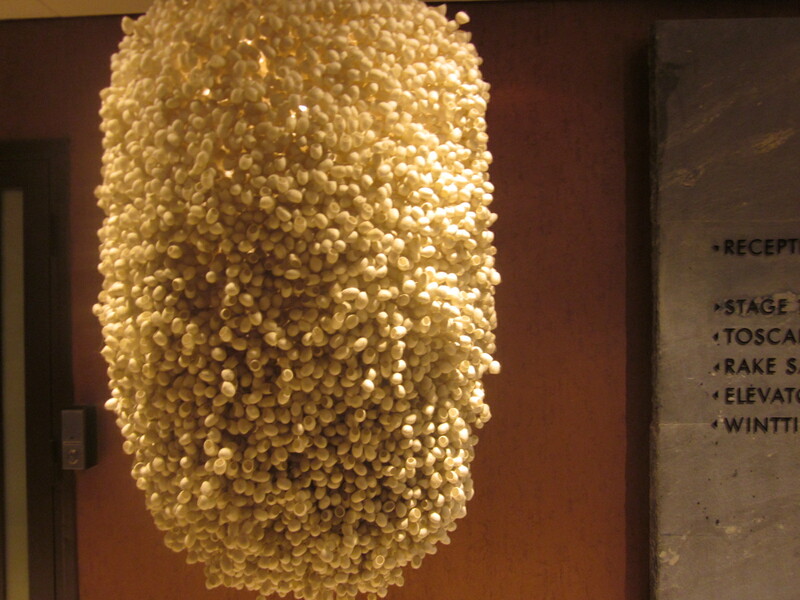 Regular art installations underscore the hotel’s artistic intentions, not to mention hosting a constant stream of design and arts-related events. The hotel’s 139 cutting edge rooms and suites, including the three new Sky lofts are impeccably designed with a dramatic flair and access to the sky terrace. They expressing emotional themes of mysticism, passion, desire and envy, named after the four themes resonating in the Kalevala. Contrasting colors and textures in the rooms reflect the motif of dualities, as if the vivid red pillows on stark white sheets in the Pleasure themed rooms symbolize the Kalevala’s idea of innocence and lust. Though the decoration refers to an archaic epic, the contemporary furnishings and amenities are from this century, designed and presented in daring and unconventional ways. The rest of the hotel is a modern mixture of history and refinery. I felt quite awake even in the bathroom. The Helsinki Day Spa offers indulgence with holistic body treatments. The breakfast buffet, consisting of organic and local ingredients, the Finnish restaurant also serves up some Kalevala references in the form of a large blue pike mosaic that’s encased in a glass table. What the Italian restaurant Toscanini may lack in Kalevala references, it makes up in rustic Tuscany cooking in a cozy, country style atmosphere. Helsinki seems to be off the normal “Scandinavian tourist trail”, so here are suggestions on how to spend them: Food, design and a few good museums. Museum of Contemporary Art with a great contemporary art collection and a few changing exhibitions. Just great if you’re into that kind of thing besides the HDW 2015. The National Museum of Finland with a large collection of artifacts, they move the story along chronologically with a brilliant description. I highly recommend this museums. There are restaurants devoted to using local ingredients. Tips: Restaurant “Roba” & “Ragu”. A Nordic restaurant that offers fine dininig in a surprisng way. At this charming spot, practically everything has Nordic roots, from the food on the plate to the tableware itself, and even the background music. The surprising seasonal menu showcases regional ingredients in complex dishes like meat, fish and beet-root balls coated in edible clay. To drink, let the sommelier arrange wine pairings. Perfect stylish dinner place. 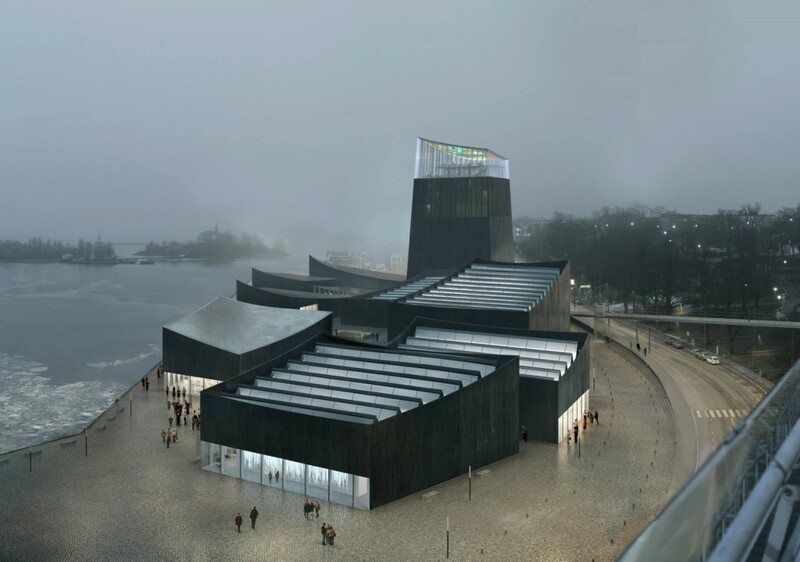 Photos: Jens Hoffmann & Guggenheim by Millton – Helsinki.